I feel like there are a lot of misconceptions about horses and horse people in general. 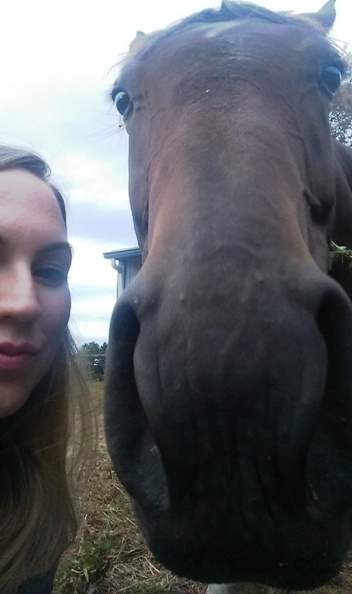 There’s a belief that if someone has horses, they are wealthy, often stuck up, and just generally unpleasant people. I want to quell the rumor mill and set the record straight. This will end up being a series of posts because there’s simply too much to say about it. I’m starting with this one, because I just spent quite a while being pricked by thorns and falling on my behind in the mud. I think people imagine a rider showing up at the barn, taking their gleaming horse from the groom, prancing around doing “dressage”, and then jumping off, throwing the reins at the groom and speeding away in their Mercedes. Basically, that they show up for the fun part and do nothing else. I have my horses at my home. They live idyllic lives out in their pasture, drinking fresh water that I replace every day, munching on their bale of hay. They lounge under the trees, roll in the lush grass, and prance about when they are feeling frisky. 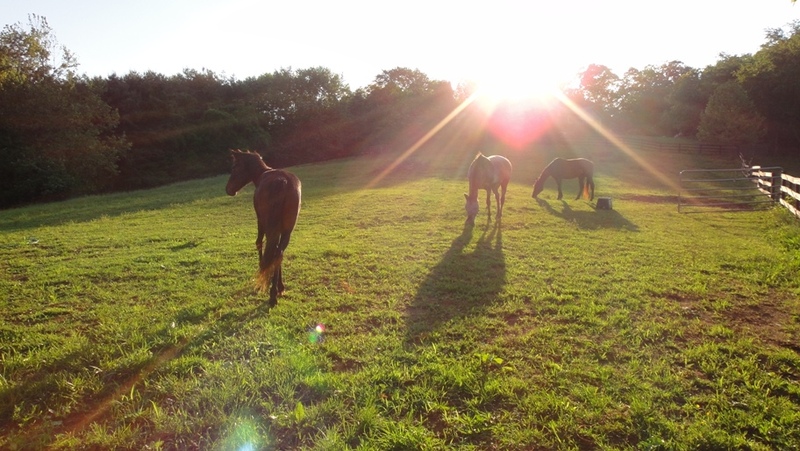 That is our actual pasture, but what you can’t tell from that photo is the hard work involved – that has nearly nothing to do with the actual care of the horses themselves. It has to do with what they are standing on. All that lovely grass. That grass needs to be mowed or it will get too long, they won’t eat it, and they will eat the short areas to bare dirt. It needs to be continually reseeded, since they destroy so much of it. The PH levels need to be tracked so lime can be sprayed on it, if needed. Huge weeds will grow, so they need to be sprayed before they seed to be killed, or removed after they go to seed, or you end up with millions of them. To sum it up, that pasture takes a lot of work to stay nice. And I don’t have servants running around doing my bidding, I do it myself. Tonight, I pulled up giant weeds, a project I’ve been working on for a few nights now. If I cut them down, they will reseed and I’ll just have more problems to deal with later. These weeds are horrible, thorny things. Not that I blame them – If I was a horrible weedy plant trying to take over a pasture, I think I would cover myself in thorns too. 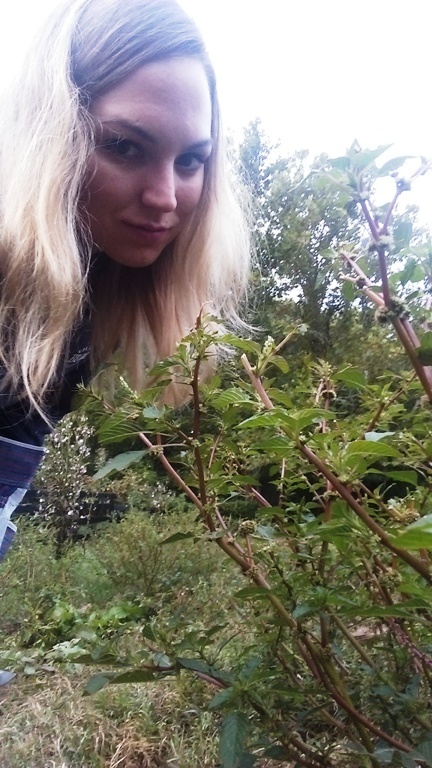 I may not like the weeds, but I respect them enough to take a selfie with them. Something like that. And they are all over the place. I still have more to get out of this section, and then I have several other sections to remove them from. After doing it for an hour, it’s physically painful, plus I fall down a lot from pulling on the weed and it suddenly giving way, so my pants end up covered with mud. I’ve spent more time pulling weeds this week than I have riding. It’s kind of depressing to me, but it needs to be done. 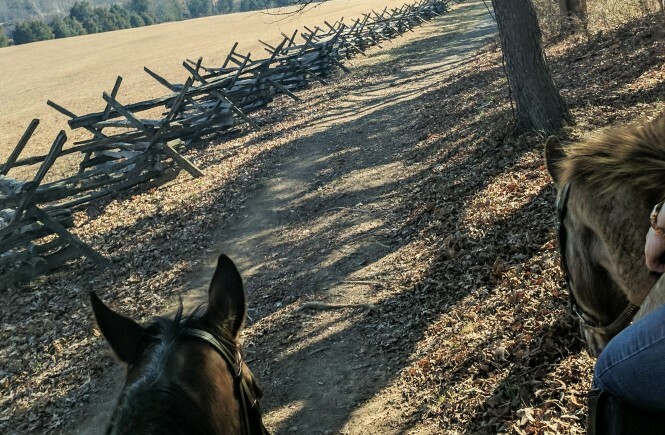 I’ve seen pastures that aren’t taken care of, and they are horrible for horses to live in, with barely any grass, mostly weeds, and full of mud. I wouldn’t want my horses living in that, so I take the time to make sure it doesn’t happen. This is just one task I do for the benefit of my horses. Definitely not all fun and games with them… although we have our moments.